Shared Linux Hosting is best suitable for small websites, open source websites using wordpress, joomla, drupal, magento or any other open source software. It creates lot of confusion to website owner in deciding whether to choose Linux hosting or Windows Hosting . As for a normal user Shared Linux hosting pretends to be the one which is used by command mode which actually is not the case. It also comes with a panel having GUI (Graphics User Interface) enabling user to access the same easily. So if you are looking for fast Servers with Good Configurations, please call – 09839120507. What PHP Version we offer? We have latest PHP Versions , and we also offer versions as per users choice . Being having multiple servers it is easy for us to provide customize requirement as per your choice. Is there any limit when we say Unlimited Sub Domains , Unlimited Email IDs, Unlimited FTP Accounts? We offer these services as unlimited till the time it is under our Terms of Usage. What Scripts are offered under softaculous? In Softaculous we have 250+ Scripts . You can have complete look at scripts available by clicking here. I am sending normal mails and my mails are bouncing? In the current usage of email services by billions of people it gets difficult for the mail server at any place to justify which mails are correct and which are not. In case you are facing any issue just open a ticket at our Support Panel and provide complete mail bounce details . We will analyze and get it fixed. My Website is showing suspended? What is the reason? 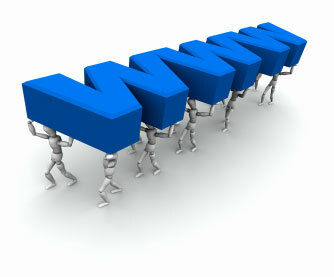 A Website in shared hosting can be suspended due to numerous reasons like over usage, malware infected. 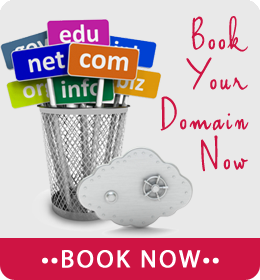 We do our best not to get any domain suspended. Still if your domains are suspended kindly open a ticket at our Support Panel. I want to try your services . Can I get a trial and do I have to pay for it? You can absolutely go for a trial for 7 days at no cost. Just Register and Open a Ticket for the same. Can I host SQL and Dotnet Application in this server? This is purely a Linux Server with Centos, PHP, MYSQL , Ruby on Rails and Perl Installed . For using Dotnet and SQL you have to use Windows Hosting and for using JSP you need to use Java Hosting. What are your Server configuration? All our Servers are XEON 2.4 Ghz and above 4-30 Core CPU, upto 5 TB HDD, 4-96 GB RAM. Every Server is connected with secondary hard drive taking weekly and monthly backups. However backups are not part of service still we take the same to avoid disasters. It is important that customer should keep Backups or opt for Daily / Weekly Remote Backup Services to have a mirror of there websites.